As you may know, the 4l60e & the 4l80e are really common transmissions in GM, Chevrolet cars and a lot of other American cars. But what’s actually the difference between the 4L60e vs the 4L80e transmission? Can you swap between them? In this article, we will discuss everything about this and you will get the specifications for both transmissions and the differences between these. Even if these transmissions are looking pretty much the same on the pictures, there are a lot of things that are different between these transmissions. Here are the most significantly differences between these transmissions. Remember that these are the main differences and you can find other small differences if you go in-depth researching. The biggest difference is probably the size & the weight between the 4L60E and the 4L80e transmission. The 4L80e is much larger and heavier than the 4L60E. The 4L60E has a weight of 150 lbs without fluid and the length of 23.5″, while the 4L80e have the weight of 236 lbs and the length of 26.4″. Just with these number, you can probably calculate that there is a big difference in size and weight between these transmissions. Another big difference between these transmissions that are important to think of if you are going to swap them, is the gear ratios. For an example, on the first gear, the 4L60e have the gear ratio of 3.059:1 while the 4L80e have the gear ratio of 2.48:1. This is important to keep in mind if you are swapping between any of these transmissions. You can normally compensate for the new gear ratio with another rear axle differential, so this is not always a big problem, but it’s good to know about. 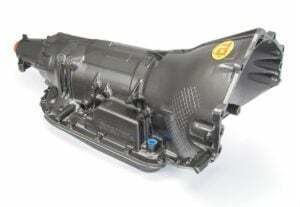 If you are looking under the transmission for the transmission fluid pan, you will realise that there is a big difference in these between the transmissions. This is a good way to identify if you have a 4L60e or a 4L80e transmission in your car. The 4L60e have a rectangular pan & gasket of 16 bolts and the 4L80e have a more oval-shaped transmission pan with 17 bolts. You can see the pictures of the gasket in the specification above. Since the size of the transmissions, there is also a large difference between the durability of these transmissions when it comes to performance. This is mainly because of larger internals inside the transmissions. The 4l60e transmission can handle a max torque of around 350nm, while the 4l80e can handle 450nm~ or even more. These numbers can differ a lot and you will get a lot of different answers of how much these can handle. We have to remember that there is a big difference in the durability between a 30 years old transmission and a new one. So the condition of the transmission is important to consider when you want to know the max torque. There is a big difference when it comes to the electronics of these transmissions. 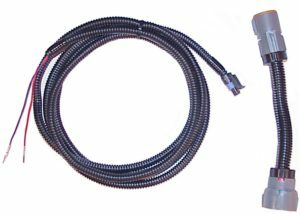 The Wiring harness and the transmission control unit is completely different and they are not compatible with each other. There are also differences when it comes to the sensors, mainly that the 4L80e do have 2-speed sensors that are different than the sensor on the 4l60e. If you want to swap to one of these transmissions remember to also purchase the control unit and the harness. Because the 4L60e is a lot more common than the 4L80e, there is also a big difference in the pricing of both used and new transmissions. This does also apply to the parts because there is much easier and more available parts & whole transmissions of the 4L60e than the 4L80e. If you want to find parts for these I can recommend you to check for it online. If you have a 4L60e you can probably also go to a junkyard and find parts for your transmission, depending on where you live. However, you can also find both new and used transmissions and parts online and one of the places to check for these are on Amazon. Here are some of the examples of what you can find. If you are looking at the transmission they do actually look pretty much the same, depending on the year of the transmissions. One of the similarities between these transmissions is that both of them are electronically controlled. The bolt pattern for the transfer case is also the same so it will fit in a swap without problems. One thing to consider is that the 4l60e was named th350 and 700r4 before in earlier models and the 4l80e was named th400. If you have checked the recent information in this article, you may have figured out already that swapping between these transmissions, are not plug & play at all. 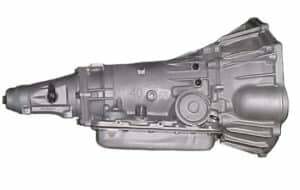 There are a lot of differences in these transmissions and here are some of the things you have to consider if you are going to swap the 4L60e to a 4L80e transmission. Remember that some points can differ depending on the year and the car model of the transmission and the car you are swapping in. Swapping a 4l60e transmission to a 4l80e transmission is not an easy job, but it’s totally do-able if you are willing to spend some time and money. Here are the things you have to consider about. Because of the larger size of the 4L80e transmission, you may have to modify your transmission on the car that you are going to swap it to. Sometimes, the car models come with both 4L60e and 4l80e from the manufacturer and in these situations, you do not have to think of this. However, sometimes you have to use the hammer and a welder to make it fit properly. The 4l80e driveshaft is longer than the 4l60e and this has to be considered when doing your swap. However, the same thing applies here, if your car model came with the 4l80e transmission from the factory, get a driveshaft from one of these models if possible. If not, there are a lot of shops that can make the driveshaft shorter for you. You can also measure and check for a driveshaft on other models to see if you can find one with the same length. You have two alternatives on this one to make it work properly. You can either get a special adapter kit which is normally including a spacer and an input shaft to make it work with your converter. Alternatively, you can use the flex plate and the torque converter from the 4l80e transmission. The engine control unit does often have to get reflashed and reprogrammed for the 4l80e transmission to work properly. You can search the web or a local dealer to do this job for you. There are also premade control units for this but it’s often pretty expensive. If you are doing any modifications to the engine at the same time, it’s recommended to let a tuner do the transmission reprogramming at the same time as they are tuning the engine on the dyno. The 4L80e transmission case is longer than the 4l60e transmission, so the cross member has to be modified. You can either purchase an already premade cross member or you can do one yourself with a welder and some skills. Remember that it’s important to get the transmission perfectly lined up straight. There is a lot of differences between which car you are going to convert and how much you have to rebuild the cross member. If the car that you are swapping the 4l80e transmission into did come with that transmission from the manufacturer, you can get one of these crossmembers and install on your car for a plug and play situation. Overall, these transmissions are completely different even if they are looking almost the same. In a summary, the 4l80e is larger and can take more power than the 4l60e. If you are going to swap your transmission, try to get as many parts as possible from the 4l80e transmission that you are purchasing, like the torque converter, flex plate, dipstick etc. I think I did cover the most important parts when it comes to the difference and the swapping between the 4l60e and the 4l80e transmissions. If I have missed something or if you have any other questions, you are welcome to ask your questions down below and I will answer them as soon as possible. I hope you enjoyed the guide! Which one between the 60e and the 89e is a better performance transmission ? @Rodney Do you mean the 4L89E or the 4L80E? However, I assume that you mean the 4L80E. If you are looking for performance, the 80E is stronger and more reliable. Try to check on google images for “4l60e pinout” and “4l80e pinout” to see if you can figure out the wirings. Is it a purchased harness or you are doing one yourself? However, if it’s purchased, the manufacturer of the harness should have one for you. I bought a 4L60e transmission for my ’98 Chevy silverado z71 4×4 but it isn’t the right kings. I’m ignorant on the subject so could someone please tell me why it didn’t work ? What part is does not fit? The wiring connectors? The 4×4 models are special and that might be your issue that the new transmission is from a 4×4? What if you have a harness that went to a 4l80e but now have a 4L60E? Can you make the OEM harness work for 4L60E? Or is an adapter needed?